There will be several posts focussing delicious dishes and treats made from our purchases – watch this space! 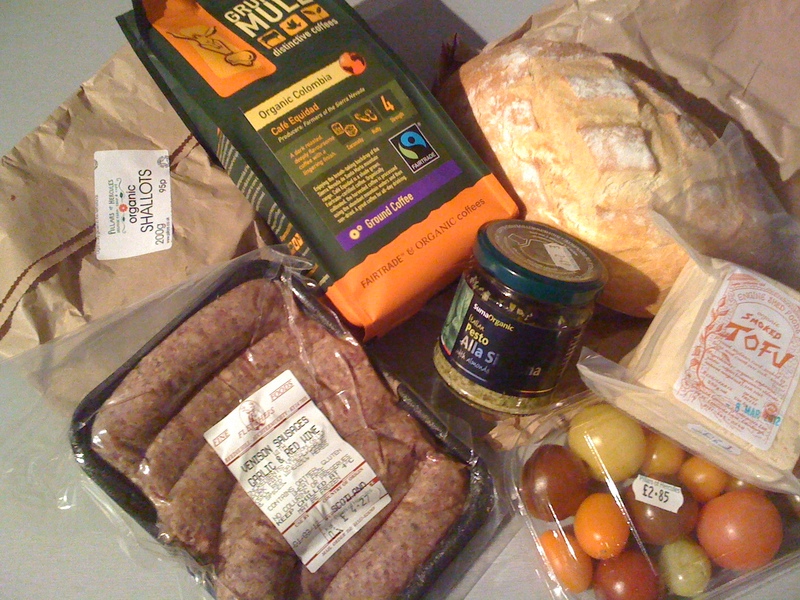 This entry was posted in Bread, Sausage, Shopping, Vegetables and tagged bloomer, coffee, Engine Shed, Falkland, farm, Fife, Grumpy Mule coffee, organic cafe, organic farm, pesto, Pillars of Hercules, Sausages, Shallots, smoked tofu, tofu, tomatoes, venison, venison sausages, white bloomer, wild tomatoes. Bookmark the permalink.